In recent years, UP Orlando has struggled to maintain an adequate inventory of shopping carts to keep up with demand. On particularly busy days, this shortage would make it especially difficult for parents with children to get the items they need without a cart available. If they had time, members would oftentimes circle the parking lot waiting for another family to unload their groceries so that they could secure a cart. Having shopping carts available for all of our members to use any time of day may seem like a simple pleasure, but it’s an essential part of the dignified experience we strive to provide to all those who walk through our doors. 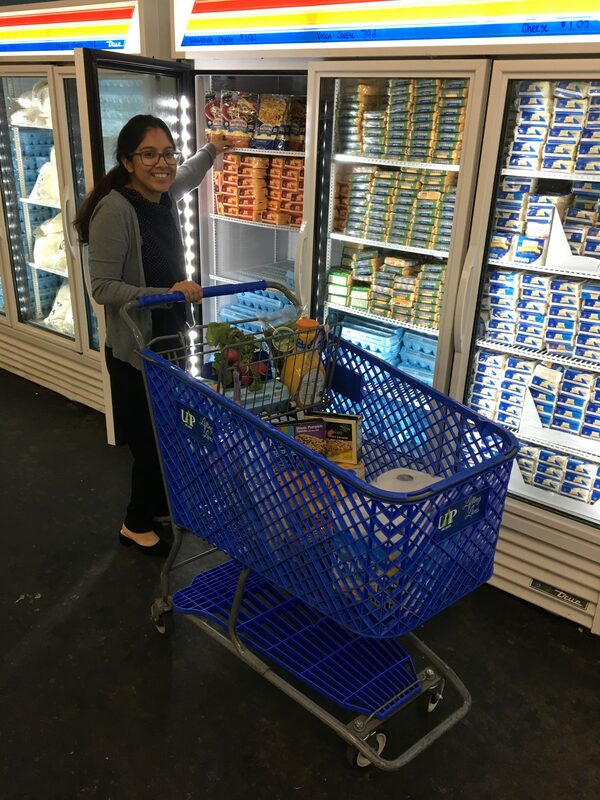 We’re thrilled to share that thanks to 95 kind individual donors, the Central Florida Foundation and the Rotary Club of Dr. Phillips, we were recently able to purchase 300 matching and quality shopping carts for our Center! As a result of the outpouring of love and support, we were also able to secure four cart corrals to place in the parking lot, and shopping cart locks to ensure the carts stay on-site and are available to serve families for years to come. We cannot thank our supporters enough for making this happen for us and our members at UP! The carts are truly making a difference in the lives of our members on a daily basis.